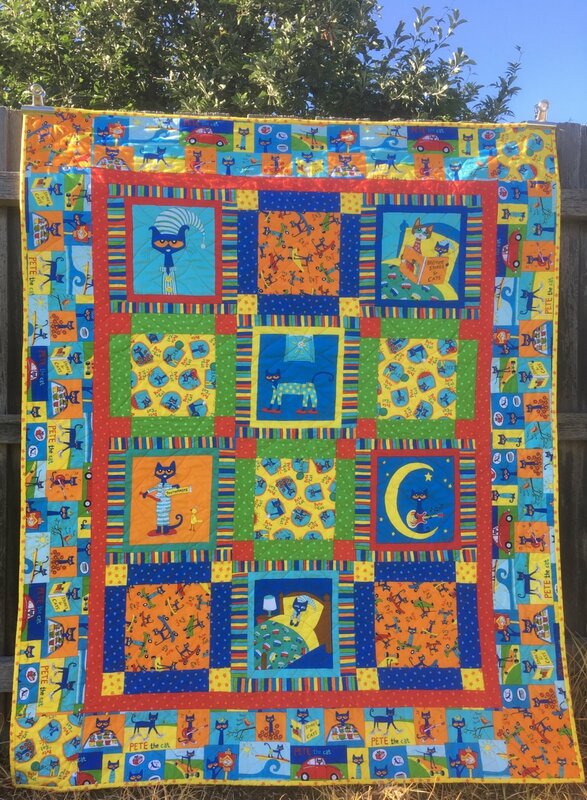 Bright and colourful single bed sized quilt. 62" X 52" . Kit includes all fabric for top and instructions.